No wools, no blerts. Jus' smoov style. We are talking about scouserin' and swervin'. And Leeds finest Antony Beardsley in perticular. A lone gunman producing analogue, slow paced dance music influenced by pioneers like Andrew Weatherall, Timothy J Fairplay, Aphex Twin and Sean Johnston. Sometimes all you need is some service. 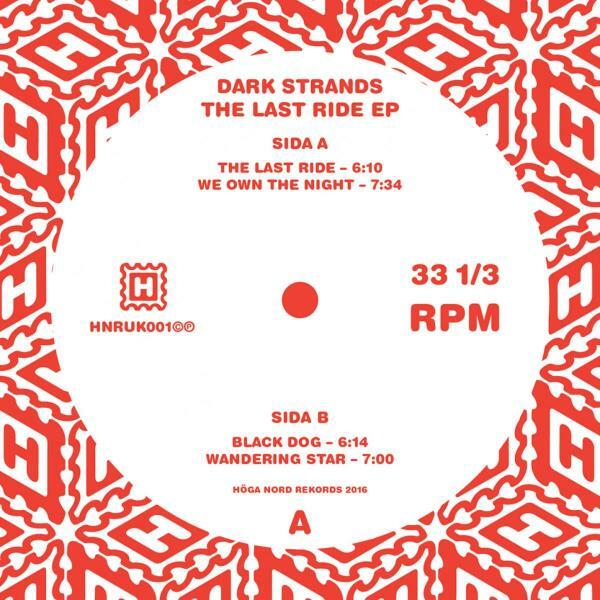 And that's exactly what Hoga Nord will give you with this four track EP by the name The Last Ride'. Opening title track sounds like Mr Kowalski, top dressed' in a white track suit, speeding away for the vanishing point. The Last Ride would be the soundtrack of choice for Mr. Kowalskis Requiem for the American Dream. The organic baselines seduces you like the bright side of the illusion of that sleazy dream. A-sides second track 'We Own The Night' will chug you all nite long. And B-sides 'Black Dog' will make your mornings velvet with evil heat. Straight acid approach. Magic Feet Recordings, Stripped Off and Clouded Vision Records has already released him. But in Gothenburg we stay Hoga and only settles for the best. We mentioned service earlier. We are also a crew. And this time we're really doing you. All night long. Some darker morning when we're straight - lets open up.. We do dat doe dont we doe. Friendly, witty, welcoming and all. But it isn't called dirty for no reason. All love, charm and bifter - get lifted!